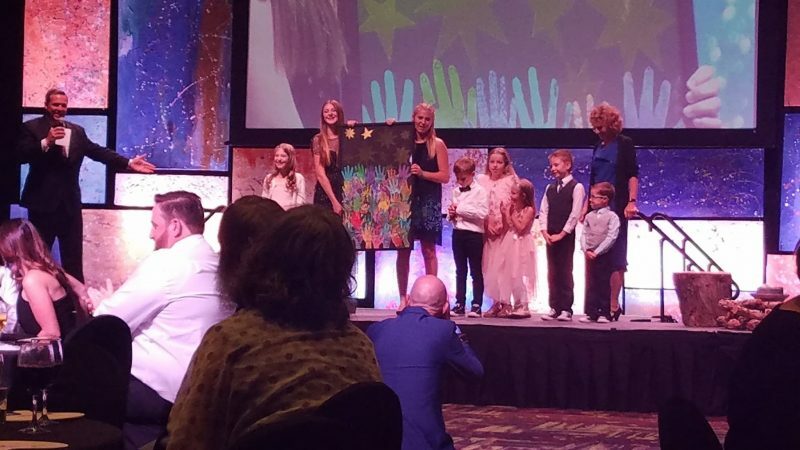 Camp Rainbow Gold brought the magic to Boise with a special gala on Saturday, September 15. This evening was a black-tie event of art, music, dance and a live auction. 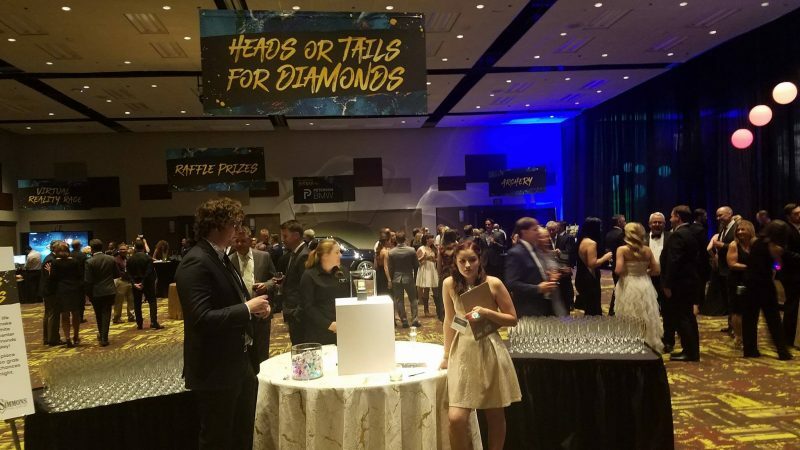 All proceeds from the night will benefit Camp Rainbow Gold and its annual empowering programs for Idaho’s children diagnosed with cancer and their families. This year, the almost 500 guests raised $250,000 for Camp Rainbow Gold during this event. It was amazing to see the generosity of such a giving community. 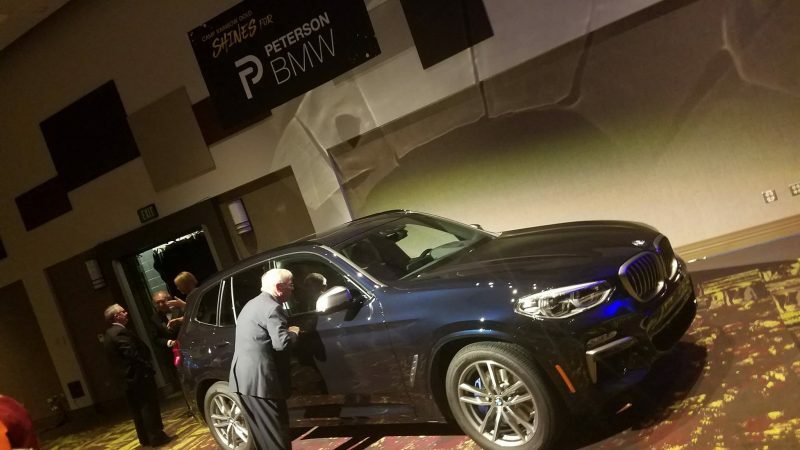 It was an inspiring evening and Peterson BMW was proud to be a sponsor at the event. Performance painter Brian Olsen using fingertips, palms, elbows and up to three brushes in each hand, Brian paints portraits of famous people including musicians, sports figures, and top corporate heads on a four and a half by six foot canvas in just a matter of minutes. His creations are choreographed to music that is powerful and stimulates the senses. 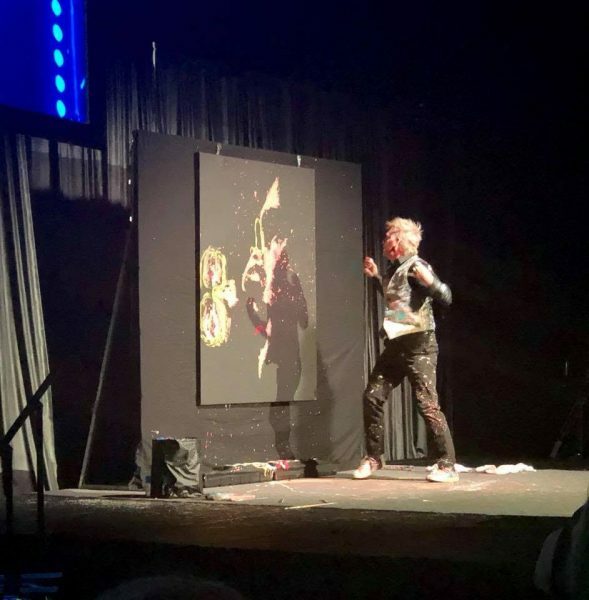 Brian’s Art in Action is described as “an emotional experience” taking his audience through an amazing journey of excitement, suspense, cheer, and surprise. 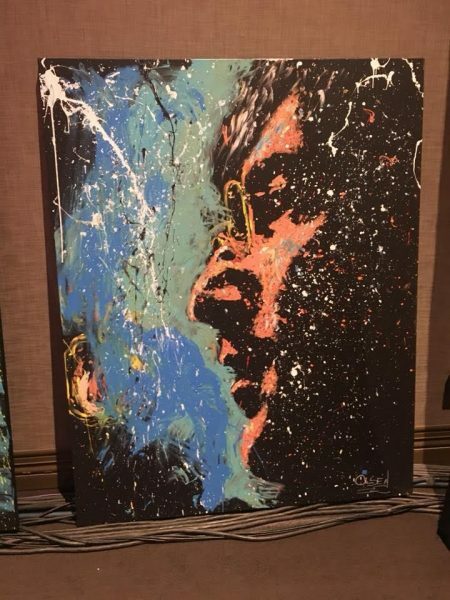 The term Speed Painter does not do justice to his ability to captivate his audience and share the experience of color, music, and action is a way to bring people into the world of art and creativity. It is a new art form that brings people together to share the explosion of art and stir up the personal creativity we all have within. History of Camp Rainbow Gold: What started in the mid ’80s as a week of camp for a handful of children diagnosed with cancer is now, as you may guess, much, much more. Yes, Camp Rainbow Gold is still a summer oncology camp, but it’s also a sibling camp and a family camp. It’s a college scholarship program and a teen support group. It’s 365 days of making a difference in the lives of these children as well as their families and others who support them. Camp Rainbow Gold is and independent non-profit organization.Based in Boise, Idaho, with a satellite location in Ketchum, Idaho, CRG is a large network of the most generous, loving people who are devoted to providing emotionally empowering experiences. Camp Rainbow Gold is sustained by community fundraising, private donations and volunteer efforts. Camp Rainbow Gold is supported by more than 200 volunteers from around Idaho and has been accredited through the American Camp Association since 2002. For more information about Camp Rainbow Gold and the good it does visit their website.